For a quotation or Blue Light Fleet demonstrations please contact the emergency services team. 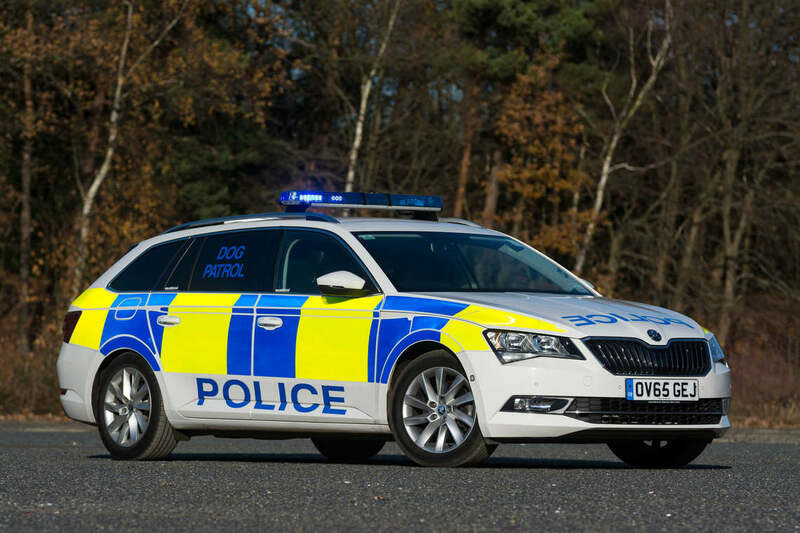 ŠKODA’s Emergency Service Vehicles are a long standing industry favourite across UK police operations due to their extreme versatility, comfort and value. The latest edition to our blue light arsonal is the fully-converted KAROQ, featuring 360-degree visibility thanks to powerful LED signal lights built into the front screen, grill, tailgate and number plate―all complemented by a 100-amp three tone siren. When lives are hanging in the balance ŠKODA vehicles are renowned for demonstrating persistent performance under immense pressure. The latest ŠKODA KAROQ offers exceptional practicality, with 4x4 capabilities for traversing tougher terrains―equipped with a capacious boot for housing life-saving equipment. ŠKODA is now the manufacturer of choice for many major NHS authorities. In times of need Fire and Rescue teams need ultimate performance from their fleet, no matter how treacherous the terrain. 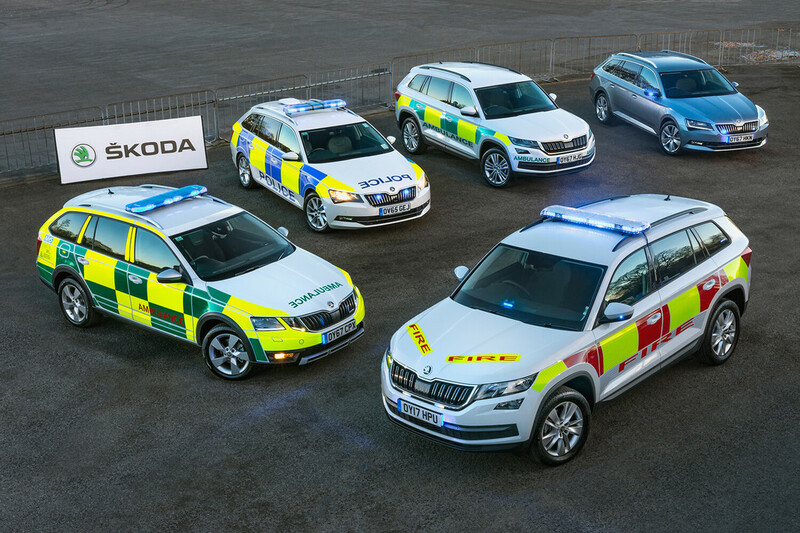 The ŠKODA KAROQ and KODIAQ Fire and Rescue vehicles have been specially engineered to travel as fast as possible over rough ground, handling the heat of emergency response. ŠKODA has developed its first custom-made armoured car that offers ballistic and bullet-resistant protection. Virtually indistinguishable from a standard ŠKODA SUPERB ESTATE, the car is built from high-strength steel and bullet-resistant glass, yet still maintains its spacious five-seater cabin, large boot and luxury interior. This is one ŠKODA you shouldn’t judge by its cover. We provide a vital service to the capital transporting an advanced trauma doctor and paramedic to seriously injured people. Whilst the helicopter can reach patients in a matter of minutes, our fleet of rapid response cars is also critical to serve the community and ensure that we are ready to respond instantly in all-weather conditions. The reliability and performance of ŠKODA continues to meet the demand of our service and we are pleased to renew the contract once again. 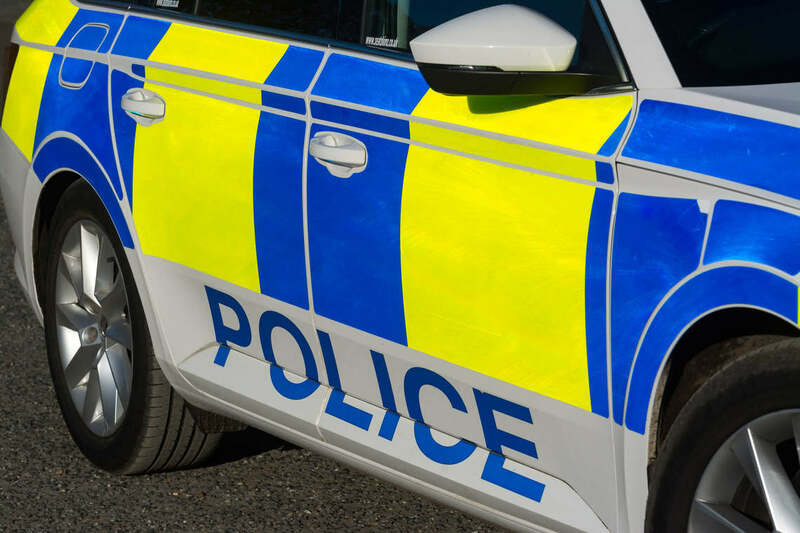 This lease deal has allowed us to standardise our fleet, and provide vital vehicles to our Flexible Duty Officers to respond to incidents quickly and safely, in all types of conditions. Whether it be spare parts, routine maintenance or warranty repairs―together with our network of over 150 ŠKODA retailers and authorised repairers, we are well placed to support you and keep your fleet moving.